Currys can trace its origins back to 1884 when Henry Curry began selling bicycles in Leicester, England. Further technology was added to the shelves and soon the name ‘Currys’ became synonymous with great value tech goods for all. Today, Currys has merged with PC World and still stands at the forefront of bringing the very best utilities and entertainment technology to Irish homes. You’ll see great deals on its audio-visual products, cool bargains on its refrigeration items and tasty prices on its kitchen equipment. Currys PC World always has a great price on Sony and Microsoft consoles, you’ll certainly want to take stock of its camera selection too. It’s also a great time to check out its smart watches and healthy deals on fitness trackers — whatever you need, if it runs on electricity, Currys PC World has it covered! Also famed for its great customer service in-store and on its website you’ll find comprehensive buying guides so you always make the right choice. How do I use my Currys voucher? Sign up to Currys PC World’ mailing list to hear about some exclusive offers! Can I recycle my old electrical product with Currys PC World? Yes, when you take a delivery of your new product you can arrange to have your like-for-like old item recycled. You can also bring any product to a Currys PC World store for recycling. More details here. Does Currys PC World have a price matching service? If you find a lower price on any of its products from a certain competitor, Currys PC World can match the price even up to 7 days after purchase. Click here for details, including which competitors are included in this offer. You can return your purchase within 21 days of receipt to receive an exchange or refund. Item must be in original condition and packaging, though you may open it for inspection. You can return the item to a store or arrange collection by calling customer services. Full policy here. 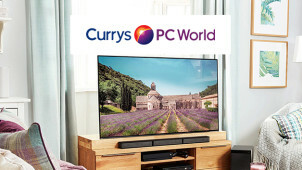 Currys PC World is one of the nation’s most trusted electronics purveyors, providing everything you need to kit out your home with the kitchen appliances, white goods, entertainment and computing products that make the world go round. Add a Currys discount code from vouchercloud onto your order and you’ll find yourself getting money off the already great value products so whether it’s something exciting or simply necessary for your home, Currys PC World is the place to be. You can take the stress out of installing a new product by getting Currys PC World Team Knowhow™ to do the hard work for you. Whether it’s a new dishwasher or fridge freezer, you’ll find Currys PC World highly trained staff can do the hard work at your end so all you have to do is make use of your new product. Shop with total confidence that it won’t be a hassle to get things going and let Currys PC World take care of the rest! With more quality TV than ever around these days, make sure your hardware is up to standard by getting a large screen telly from Currys PC World. With a range of Smart TVs to connect you to your favourite streaming services, you’re sure of a great deal and using a Currys voucher from vouchercloud on your purchase means you'll be in for a double saving. Go 4K and HDR with the very best manufacturers at Currys PC World today!